July 18, 2011 - SEATTLE, WA - Originally booked as a make up show for an earlier cancelled date, The Twilight Singers will turn the last night of their Dynamite Steps tour into a special event by performing their revered second album Blackberry Belle in its entirety. The show will take place on September 17th in San Francisco at Great American Music Hall. Tickets will go on sale on this Sunday, July 24th, at 10:00AM PST and can be purchased at the box office or online at: http://www.gamhtickets.com/. Special guests that evening will include Apollonia Kotero - who backs up frontman Greg Dulli on that record's "Teenage Wristband" and "Fat City" - and longtime collaborator Mark Lanegan, who duets on the album's epic closer, "Number Nine." Following the conclusion of the Blackberry Belle performance, the group will play a full second set showcasing songs from its entire career. As the final worldwide show in support of the critically acclaimed new album Dynamite Steps (Sub Pop) this will be a must see event for any Twilight Singers fan. 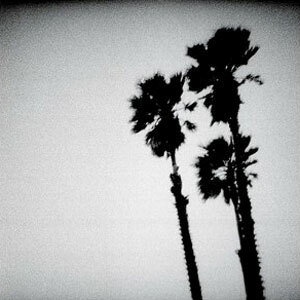 "Blackberry Belle is the album where The Twilight Singers' sound truly crystallized," Dulli says. "It captures a distinct moment in time, featuring some of my favorite songs I've ever written."